As part of our thinking skills day we all take part in a problem solving maths challenge. 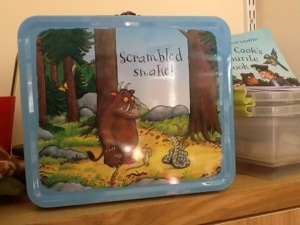 This week The Gruffalo sent us an email to say he’d put a shape for us in his tin but he couldn’t remember what the shape was. The only thing The Gruffalo could remember was that it had straight sides. 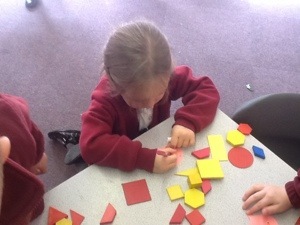 We got to work straight away to find out what shape we thought it could be. 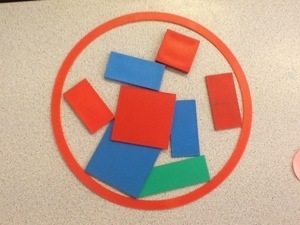 Most children went off independently to investigate the shapes, some children had support from an adult. 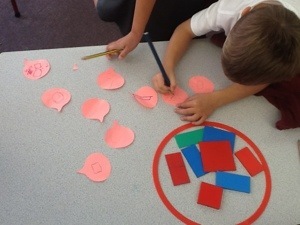 We worked out that it could not be a circle as a circle has a curved side. Then we got another email from The Gruffalo. He remembered that his shape had 4 sides. 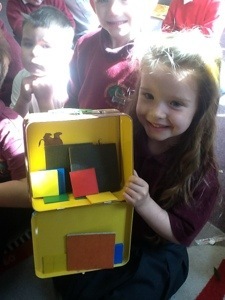 Once again the children investigated the shapes to see what shape it could be in the tin. We discovered that it could not be a triangle as a triangle has 3 sides, not 4. We wrote and drew on a post-it what we thought the shape could be. Just then we got our final email. The Gruffalo had remembered that his shape had 4 straight sides which were all the same size. Have you guessed it? We learned that when you are problem solving you need to remember and use all of the important information.